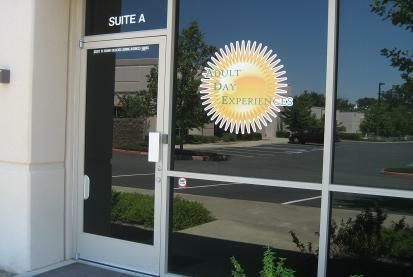 Thank you for visiting Adult Day Experiences’ website. ADE is a specialized day program, owned and operated by a licensed speech therapist. Staffed by a certified speech therapy assistant, fluent ASL users and many other team members with a variety of interests and skills, not the least of which is their kind hearts and generous spirit. ADE is established to serve adults with developmental disabilities to improve independence through communication. All independence begins with communication. Our programs focus on communication all day….every day. Adult Day Experiences offers our clients a stimulating program by providing daily challenges and facilitating accomplishments of which our clients can be proud. We are a program in which our clients feel comfortable and safe and are treated with dignity and with respect. We promote self-advocacy, choice-making, socialization among peers, friendship building, acceptance of others, and respect. Our mission is to develop effective communication skills for our clients so that each person can recognize and optimize his or her fullest potential. Our program focuses on communication efficiency and effectiveness which is a fundamental component of developing and maintaining independence in all aspects of daily living. A remarkable program for remarkable people! 5. When people feel calm, they are open to connect. 6. When people feel connected, they cooperate. CALL US TO SCHEDULE A TOUR TODAY!!!! WE ARE CURRENTLY ENROLLING NEW PARTICIPANTS IN OUR 2ND LOCATION! CONTACT YOUR REGIONAL CENTER SERVICE COORDINATOR TODAY! Click on the link below to view a short documentary about our program.